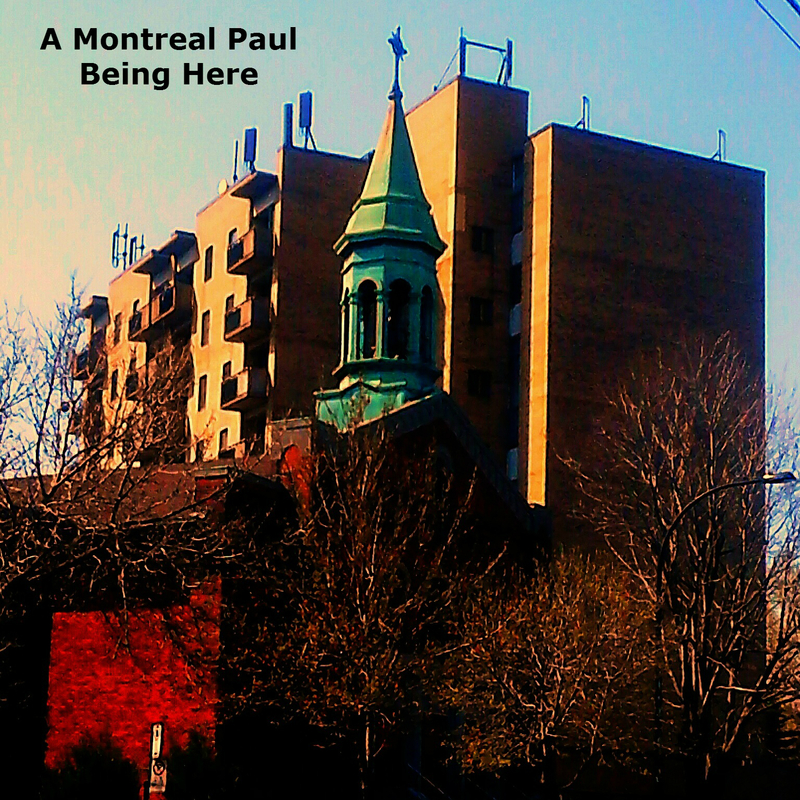 New EP & Upcoming LP | A Montreal Paul: Music and more! It’s been a while since I posted here; a lot has happened in the last few months. Suddenly, I’m not only a married man but also a family man! I’ve also developed my interest in photography (in fact I will feature some of my visual art & photographs on this website in coming weeks). And, I’ve been busy recording! So my EP Being Here will soon be unleashed upon the world, to be followed by the longer album Now the Robots are Dancing…in Summer Heat. The reason for this EP is to provide a sampler for radio stations and a preview of two songs appearing on the upcoming Summer Heat album. “This is the Time” originally appeared on Awaiting an Awakening; this version is slower and features added vocals and percussion. “Mendacity in Motion”, which appeared on last year’s LP When We Get There, also has added percussion. “Music Box” and “Tahini” also appeared on that LP and are unchanged. The two new songs here are “As a Mellotron” and “Summer Heat”: they will appear on my upcoming album Now the Robots are Dancing…in Summer Heat.